MUMBAI (AFP) — 's general election will produce no clear-cut winner, astrologers, tarot card readers and clairvoyants said, predicting another coalition government and even new polls in two years' time. "There will be a coalition. Until June 23, the election picture will not be clear and final, whatever happens," astrologer and clairvoyant Bejan Daruwalla told AFP. Daruwalla's prediction -- based, he said, on a vision -- is in line with more earthly methods of forecasting the result of this month's polls, which sees the Congress-led government up against the main opposition Bharatiya Janata Party (BJP) and an array of smaller, regional parties. 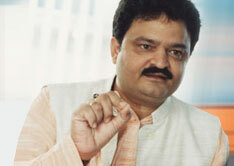 Political pundits say BJP leader L.K. Advani could give Prime Minister Manmohan Singh a run for his money, and possibly unseat him after four years in power. Stargazers Raj Kumar Sharma and Lalla Shah agreed with Daruwalla's assessment, viewing the current alignment of stars and planets as unfavourable for a majority in the lower house of parliament. Sharma attributed it to having fiery Saturn in the house of its arch enemy Leo and positive Jupiter in negative Capricorn, creating "a very confusing state of mind for the public and for the politicians." But the trio differed as to their predictions about which party would win most seats in the lower house of parliament -- and who would partner them to govern 's 1.1 billion people. Sharma suggested that Hindu nationalist Advani, with Saturn in his horoscope until January 16, 2010, would become prime minister but his BJP would be forced into an alliance with the Bahujan Samaj Party (BSP, or Dalit Society Party). BSP leader Mayawati Kumari, the firebrand chief minister of northern Uttar Pradesh state, has been touted as 's first Dalit or "Untouchable" prime minister -- but not this election, according to Sharma. For Shah, who partly based her predictions on tarot card readings, the celestial uncertainty is likely to make 's 700-million-plus electorate unwilling to alter the status quo. "At the moment there is a need for change but there will be more comfort for people in the way things are right now," she told AFP. "Things may stay the way they are with new alliances" between Congress and other parties." Daruwalla also forecast a BJP win. But he added: "Even if Advani does become prime minister, he does not finish the term... There will be another election after about two years and the Congress will come again." Sharma agreed that Advani would fall, paving the way for young Congress star Rahul Gandhi -- whose father Rajiv, grandmother Indira and great-grandfather Jawaharlal Nehru were all Indian prime ministers -- to assume power. "After 18 months to two years of this coalition government it is very clear that Mr Rahul Gandhi will be the next prime minister of for five years, without interruption," he said. Vedic astrology holds a magical power in Hindu-majority , with major decisions -- from whom to wed or when to sign a key contract -- determined by a close reading of the heavens. Many politicians also have personal astrologers and scrutinise their stars closely to determine auspicious days for both family and official functions or even results at the ballot box. Daruwalla admitted that astrology -- much like opinion polls -- was not an exact science. "Though I'm a good astrologer, I'm not a god and I may go wrong also," he admitted. In 2004, exit polls wrongly forecast a second term for the BJP while, soon after the result, astrologers incorrectly predicted the fall of the Congress-led government within two years.